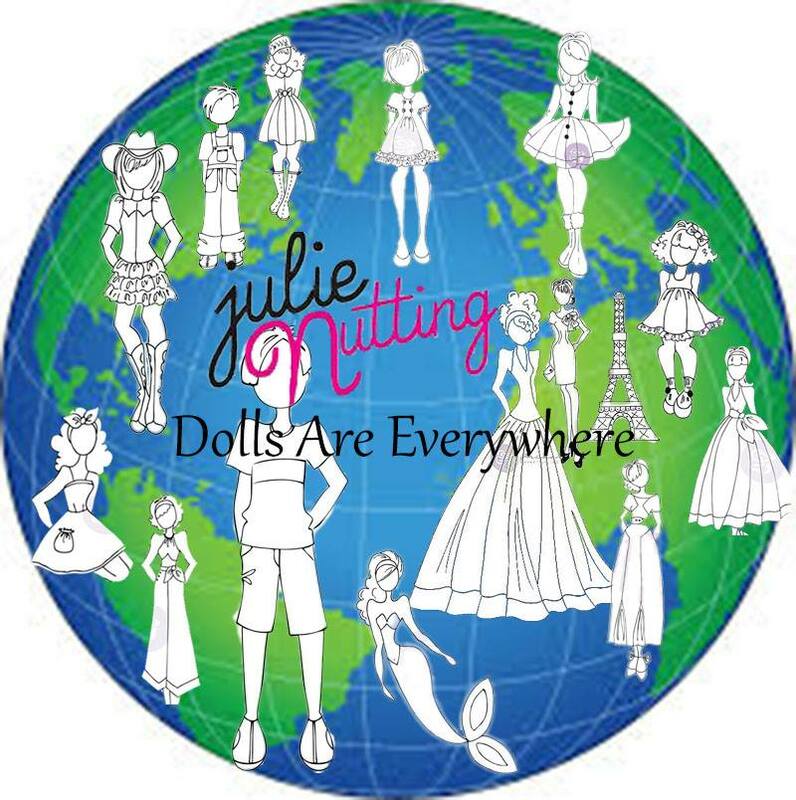 Julie Nutting Designs: Dolls Are Everywhere! Riley is in Tennessee, the land of great music! Off to find treasure on the coast of Florida! Oh, yes, they are! We have heard from people on every continent, every culture, playing with paper dolls! From here in the US, down through Central America, all the way to Brazil, over to South Africa, up to Kuwait, Russia, every European country and Australia/New Zealand, on the other side of the world! They are simply, everywhere! 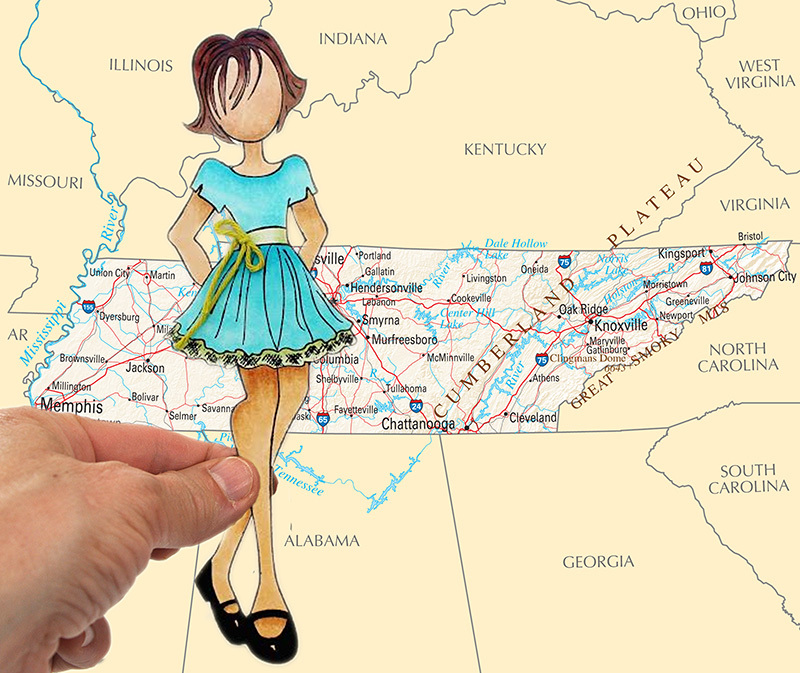 We love this so much that design team cheerleader, Jennifer Olek-Snyder suggested posting your paper dolls on your travels or just in your hometown so we can catch a glimpse of where all these dolls are located. Great idea huh? 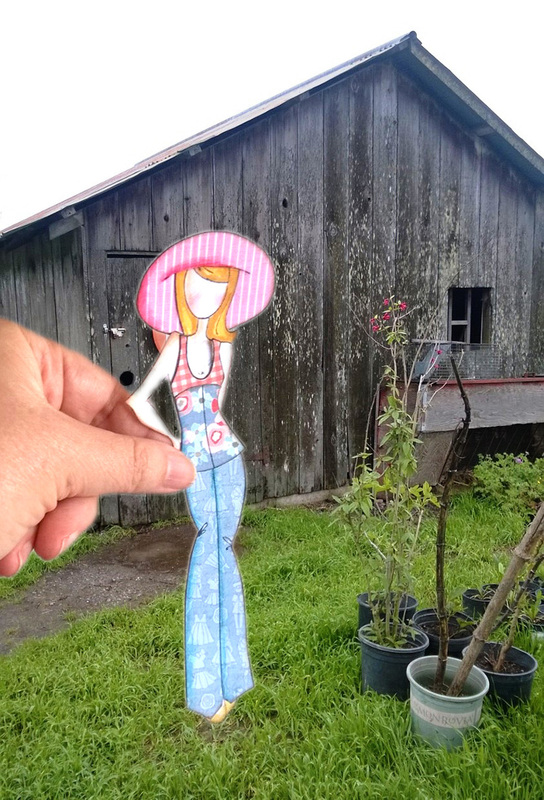 My doll, Marisol is getting ready to head up to Northern California. I get to see my son who works on an organic farm and vineyard and can't wait. Marisol is in front of one of the buildings on the farm in this photo. 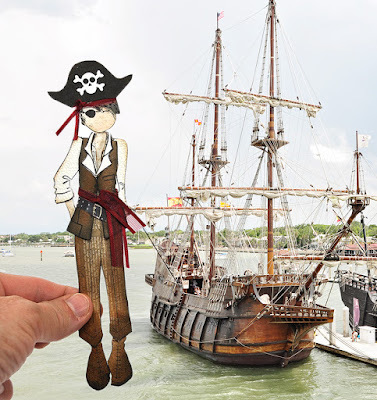 Design team member, Pam is from Tennessee so we quickly placed her on the map and Jennifer's scruffy little pirate is vacationing in Florida. Get the idea? I would love to see our beloved dollies all over the world in the next couple of months and the timing is perfect for summer vacations! Please post on the Facebook Julie Nutting Doll Club or Julie Nutting Paper Dolls and Other Fun Stuff pages for all to see. You can also tag me on Instagram @julie_nutting. hahaahahahaahahahah I can't wait to see what ya'll do!!! How awesome !!! Can't wait to post ! I love this idea, how fun! Yesss I love this!!! I'll take the girls out to the beach in Puerto Rico!! Julie will this last through August? Because we don't go on vacation until July 31st! I love this! Will enjoy all the stories and dolls. Thank you Jennifer and Julie.